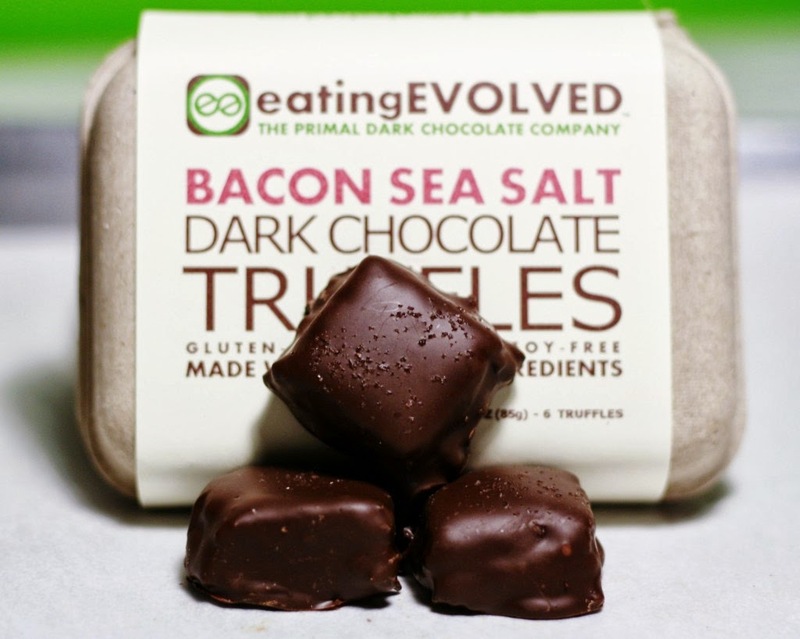 Home / Uncategories / Interview with Rick of the Eating Evolved Primal Dark Chocolate Company - Plus a Healthy Halloween Giveaway! 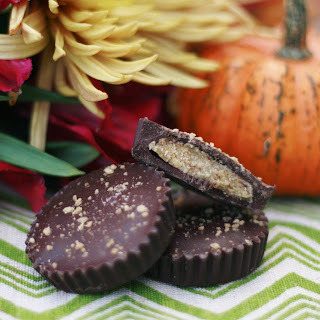 Interview with Rick of the Eating Evolved Primal Dark Chocolate Company - Plus a Healthy Halloween Giveaway! At Eating Evolved we have a guiding principle that influences every decision we make as a company: Chocolate is food, not candy. Over the years, chocolate has become a commoditized, mass produced, sugar and dairy-filled concoction that bears no resemblance to the Theobroma Cacao beans which are its foundation. We have set out to showcase the elemental ingredients that make chocolate a pure, delicious, and anti-oxidant rich super-food. You’ll find no fillers or ingredients you can’t pronounce in our chocolate. Each chocolate is handmade in small batches with the highest quality organic ingredients available, no compromises. We wanted a Paleo-friendly chocolate experience that brought us back to what food should be about: whole foods that taste great and make you feel even better! Tony: Do you and Christine follow the Paleo diet? Rick: We are both passionate about evolutionary nutrition and the Paleo lifestyle. Christine has been Paleo for over two and half years, after being a longtime vegetarian, and is studying to become a Certified Nutrition Consultant. I have been Paleo for over a year and a half. Both of us have been able to reverse lifelong health issues by adopting this lifestyle including allergies, high blood pressure, anxiety, and fatigue. Tony: How did you get the idea to start Eating Evolved? Rick: One day Christine and I were messing around in the kitchen trying to create a new Paleo-friendly dessert. Although we made a huge mess and a sink full of dirty dishes, we ended up creating what was to become our very first batch of truffles. At that point the truffles didn’t look very pretty, they sure were tasty. Our friends and family agreed. We quickly realized that we had stumbled upon an absolutely delicious treat that was unlike anything we could find on the market. Due to our paleo lifestyle, we knew there was a need for a high quality and convenient dessert option. We seized the opportunity to develop our creation and turn it into something that others could also enjoy. Months were spent developing recipes, testing different flavor combinations and finalizing our product lineup. We learned the ins-and-outs of starting a business from food regulations, graphic design, web developing, and of course – learning the art of creating dark chocolate. Tony: I first met you and Christine at the 2012 Ancestral Health Symposium at Harvard University. What was the response to your products? 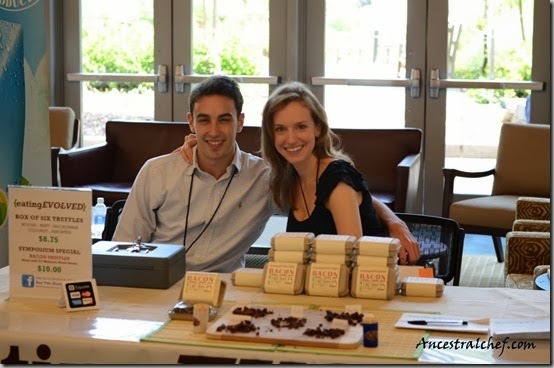 Rick: We were blown away by the fantastic symposium attendees and the strong demand for our truffles! Here we are a little more than a year later and we’ve grown tremendously as a company. We now have our very own Eating Evolved chocolate factory and have tripled our product lineup. In addition to our truffles we now offer eight flavors of Primal Chocolate (individually-wrapped dark chocolate squares that come in 72%, 85%, and 100% cacao). The newest addition to our family are our famous dark chocolate coconut butter cups (and our seasonal pumpkin spice coconut butter cups). These have become a best-seller! Tony: For people following the Paleo diet, ingredient quality is very important. As well as avoiding things like wheat, soy, and dairy. Could you talk about how your products are different? Rick: All of our products are gluten, dairy, and soy-free. We use only organic or passive-organic ingredients and fair-trade chocolate. We are meticulous in selecting only environmentally and socially responsible ingredients of the highest quality. Even our packaging is 100% biodegradable and recyclable. Tony: Thanks for taking the time to chat with me, It's always a pleasure seeing you guys and I'm happy that the business is rocking! Rick: It was awesome catching up with you again at AHS '13. Word on the street was that you rocked it during your presentation you caused quite the buzz! We feel very special that we got the personalized abridged version at our booth. You can win TWO packages of your favorite Eating Evolved chocolates by following these simple steps! Additional Details: Eligible for US residents only. The contest ends midnight Friday October 11th 2013. On Saturday October 12th 2013, TWO winners will be selected. Their names will be announced on the Healthy Halloween Giveaway post. The winners will have 24 hours to claim their prize. If there is no response within 24 hours, another winner will be selected. Is this giveaway open worldwide?